Over centuries, massage in various forms has been practiced in different civilizations for its medicinal, therapeutic, soothing and invigorating effects on the body. Ancient book records and hyroglyphics on cave walls prove that the science of this healing therapy was known years ago in China, Japan, Egypt, India and to many other civilizations such as the Romans, Greeks and Persians. 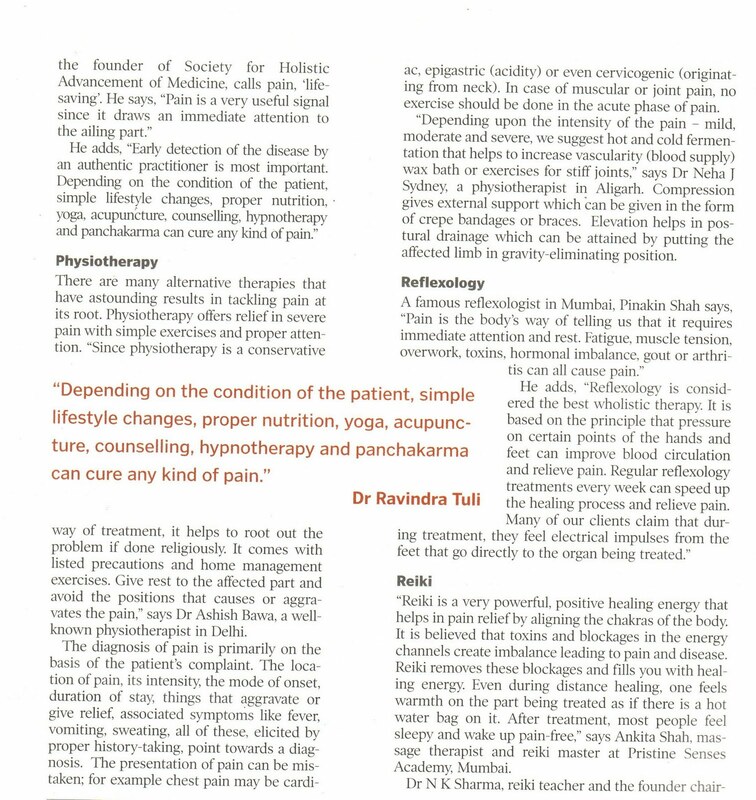 Today, this same knowledge has been rediscovered and infused with modern knowledge and techniques, has given rise to a new era of ‘Alternate Medicine.’ Among the most popular therapies today, is the Classic/ Swedish Massage which is a soft tissue, gentle and soothing full body massage (excluding face and head). It is not clear who actually was responsible for development of this type of massage. It was generally believed that a Swede named Henri Peter Ling developed Swedish Massage in 1812 at the University of Stockholm. However, a Dutch practitioner, Johan Georg Mezger is generally given credit for coining the French terms for the basic strokes used during the massage. Effleurage: Long soothing, stroking movements with the palms of the hands. Petrissage: A number of movements including kneading and rolling of skin. Friction: Penetrating circular movements which involved deep pressure to one particular site of muscle tension, using the thumb, fingertips and knuckles. Tapotement: Which include fast and stimulating movements including cupping, hacking, pounding, etc. The strokes used in Swedish Massage form the basis of all other massages. There are many other massages that are a combination of Swedish Massage techniques and other deep tissue massage techniques and therapies. It is now widely known that stress and mental strain is the main cause of around 85% diseases. By providing a much needed relief and relaxation in today’s day and age of hurry, worry and curry, Swedish Massage proves to be beneficial to your overall wellbeing. However, there are certain contraindicatons to this massage. A therapist as well as client needs to be aware of these. 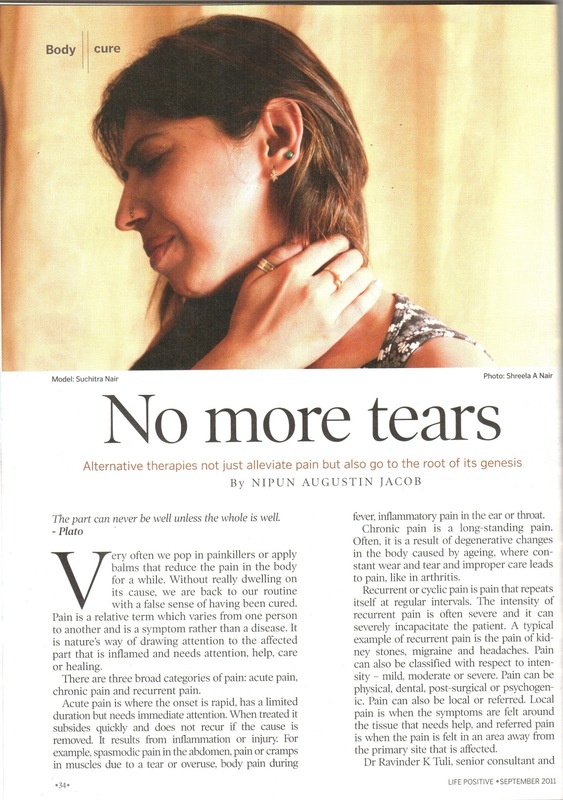 Thus, the therapist must perform a detailed client consultation before commencing treatment and a client must be forthright about any medical conditions he/she may be suffering from. Pre-massage consultation is of utmost importance and it is irresponsible on any spa/ salon/ therapist’s part to commence treatment without it. It is not necessary that if you have the above mentioned conditions, you cannot have a massage. 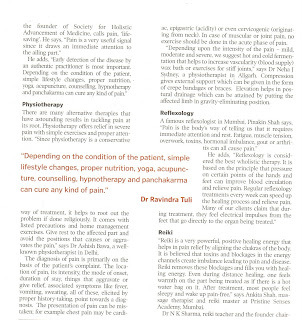 The massage treatment can be modified accordingly, or the consultation of a doctor might be required by the therapist. Finally, a detailed knowledge of anatomy and physiology, medical conditions and correct massage techniques is required to perform Swedish Massage. So therapists, make sure you choose the right school which includes this in the curriculum and clients, make sure you are going to a certified and well trained massage therapist. It is believed that the ancient Egyptians were the first to discover the theraputic use of plants and their oils. Romans and Greeks were also aware of this science. Pure essential oils extracted by steam distillation, etc. were used in medicine between the 17th and late 19th century. Later their uses were confined to perfumes. The medicinal properties of essential oils was rediscovered in the 1920s, when a French chemist, Dr. Maurice Gattefosse, burned his hand and successfully treated it with the essential oil of Lavender. Aromatherapy Essential Oils are highly concentrated, pure, extracts of plants and plant material like leaves, twigs, berries, bark, wood, root, flowers, and the peel of citrus fruits. They are highly volatile and readily evaporate into the air. 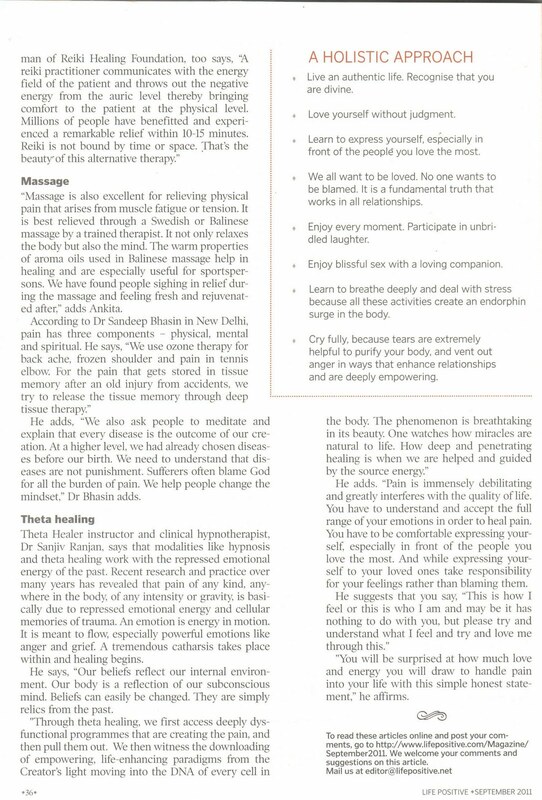 Theraputic pols have many beneficial properties and can affect the body through inhalation and through the skin. 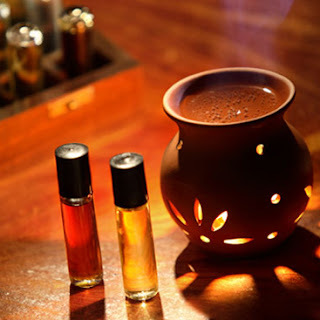 It is found that certain scents stimulate the senses and thus the brain, triggering healing. Essential oils not only affect a person psychologically, but also physiologically. Essential oils have the power to calm, stimulate, help balance the hormones, improve digestion, energy levels, immunity and can even prevent and combat infection and kill bacteria. They have proven useful in healing muscle aches and pains and even flu. Essential oils belong to different families and have different uses based on the properties of their plants. By knowing the plant family to which the oil belongs, we can better understand its nature, properties and effects as the oil properties will follow the common properties representative of their plant family. Aromatherapy can be applied in many creative ways to heal others and yourself. You can use some of the oils in a bath, scrub, inhalation, on pillow or clothes and can even be applied on to the skin. 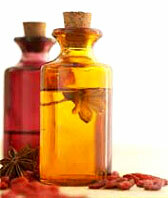 The best way to enhance any treatment like a massage or reflexology is to add aromatherapy to it. In aromatherapy massage, essential oils are mixed with a carrier oil like sweet almond, apricot kernel or grapeseed oil. The combination and concentration of the oils depends on the requirement for the client and the properties of the oils. Some of the essential oils used regularly are Peppermint, Blood Orange, Lavender, Champaka, Rose, Chamomile, Geranium, Rosemary, Coffee, Apple, Bergamont, Frankincense, Myrrh, Eucalyptus, Jasmine, Sandalwood, etc. Inspite of the amazing uses of essential oils, they can prove to be counter productive if used in the wrong way by an untrained therapist. It is very important to know the properties, nature and exact uses of essential oils before trying them out. So if you wish to add an essential oil or combination of oils to your treatment, make sure you know what you are doing. For your benefit, we will talk about the uses and individual properties of each oil in future posts. Hope you will enjoy reading them. 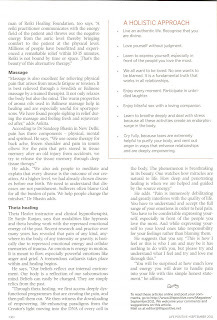 Article in 'Life Positive' September 2011 issue.